Q1) How is the ROV operated? is it done by one of operator within the team or by someone outside the combat zone? It is operated by an operator within the team. On the last pic though,as shown in the patch,they are Commando Hubert operators. Abingdonboy, Gessler and GuardianRED like this. Abingdonboy, Nilgiri, Vergennes and 2 others like this. The Task Force Wagram and their CAESAR canons supporting Iraqi forces' advance against ISIS. Some cool Rafale pics,still in middle east. Abingdonboy, nik141993, Gessler and 3 others like this. 1) The Patch on the solider - operation -??? 2) How many personnel per artillery piece? 3) The Scarab on the Rafale frame is very cool - which Sq? @Abingdonboy and @Gessler - a thread should start with just patches of the Indian armed forces - no? Abingdonboy and Vergennes like this. Generally 5,with a minimum of 3 personnels. I think that the Rafale is part of the Escadrille BR 128 "Scarabée",which itself is part of the squadron 1/30 Côte D'argent. Hellfire, Abingdonboy, GuardianRED and 2 others like this. 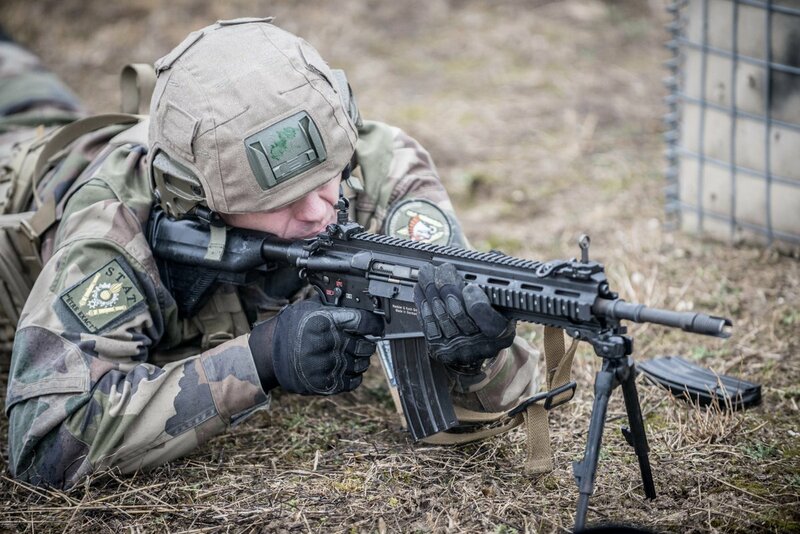 The size and resolution aren't great,but here's a (very) rare picture of DGSE (France's external intelligence agency) service action operators during an exercise. Customised French SOF AK seen in Raqqa. Probably of the service action. Hellfire, Abingdonboy, Nilgiri and 4 others like this. Hellfire, Vergennes and Gessler like this. Sometimes it's also to hide the fact they're there. Hellfire, GuardianRED, Vergennes and 1 other person like this. Discretion + logistics. If they're operating deep in hostile regions all alone it's easier to grab AK magazines off dead enemies than wait for 5.56 resupply. @Vergennes - HUGE thanks for those pics! Never knew about this unit (or that they use AKs!). Hellfire, Abingdonboy, GuardianRED and 1 other person like this. @Vergennes got any more good pics of French SFs with SCAR? GuardianRED, Hellfire and Vergennes like this. These are the most recent pics I found. The SCAR is mainly used by the para commandos and the 2nd hussars regiment. GuardianRED, Hellfire and Gessler like this.